American Idol winner: Anwar according to a survey, American Idol winner prediction: Anwar. The boys are the shining stars of Fox's 4th American Idol, and Anwar, as his name suggests, is the bright light among them all. He's a teacher who would love to "spread a positive message" to the world through his songs, and Intertops.com believes he will do just that! Rocking along close behind, in contrast to the soulful Anwar, but still sporting long locks, is Bo Bice of Birmingham (3/1) -- with a name like that he should be a Pixar star rather than as pop star. The divas are diving! The girls have not quite made the grade in this series with some very mediocre performances. Nadia Turner is the one most favored to be idolized at 9/2. Paula thinks she has the X- factor. Could she become the next Tina? Bubbly Mikalah Gordon, the 17-year-old from Vegas, is showing great pop potential, but may sadly have her bubble burst with odds of 30/1 and Lindsay Cardinale (40/1) -- sorry Lindsay but it is a sin to bring country into the pop world. 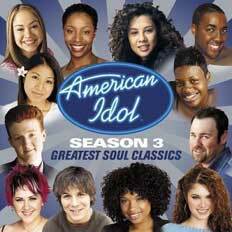 "American Idol season 3: Greatest Soul Classics" CD: ORDER IT NOW. anwar is amazing!!! we watch it here in australia and anwar shines over everyone, i truly hope he wins, he is so talented and he has it all. side just like me but you have got to step up to the plate and serve it to us baby. You got everything going for you -- the voice, the looks, the smile, and the personality. Let it shine -- Let it shine--Let it shine.